Artists express themselves using music all the time. However, only a true embodiment of a genuine performer can shock, move, enlighten and create consternation. 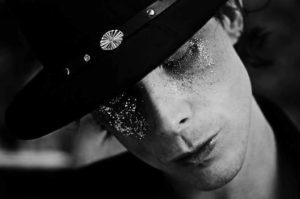 Chris Corner’s “public therapy” and “an excuse to play with who he is, exploring certain parts of his personality, which he doesn’t get to explore in everyday life” is what IAMX materialises. The name of the project, I am X, was a continuation of SNEAKER PIMPS’ album ‘Becoming X’. Notwithstanding, this time he had become the X. The X, who changes, evolves and becomes emancipated. Since his solo debut in 2004, Corner has produced and performed his eccentric act, enriched with artistic visuals, costumes and sets, gaining vast popularity in alternative electronic music circles. 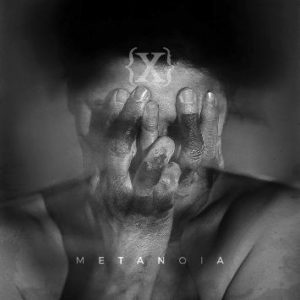 ‘Metanoia’ is the sixth studio album by IAMX, and one that proved the most difficult to turn out. The artist suffered a streak of depression, deepened by cold winters of his seven year base, Berlin. The isolation led him to consider leaving the music altogether, but Corner quickly realised that “it wasn’t the music that was hurting me, it was just that I had to reprogram myself to approach things in a different way, and it became very clear to me that I still wanted to make music more than ever”. Freshly regained enthusiasm saw Corner moving to Los Angeles to create a laid back, no rush, no pressure record, very unlike ‘Kiss + Swallow’, ‘The Alternative’, ‘Kingdom of Welcome Addiction’, ‘Volatile Times’ and finally ‘The Unified Field’. This time, he wasn’t trying to make an album because he felt it was expected, or create a meaningless pop record, which always made him feel dirty. He realised that, by addressing his issues and stripping down to show his true self, with the mental challenges and emotional problems, he could create something special, which underlines the fundamental change in himself. ‘No Maker Made Me’ creates a religious controversy in the chorus from the onset, a powerful opener to this enriching production; “You f***ing sinner” being proudly executed over the uncaring, gritty synth. The mood changes, however, with the oh-so-musical ‘Happiness’. A longing synth ballad, chasing the one, elusive element of human existence that’s worth living for. It fluctuates between the soft, harsh, loud and melodious. ‘North Star’ entices with excellent, gentle synth, which slowly becomes harsher, stronger and dirtier, bursting into a trance inspired dance of insanity. ‘Say Hello Melancholia’ tempts seductively, entraps into a powerful love affair of “paranoid dreams waiting in line”, a softer, slower tune; poignant lyrically and subdued mellifluously. ‘The Background Noise’ skilfully portraits the uneasiness of mind, where everything seems well on surface, in a normal life, but something bubbles underneath: something sinister, which “isn’t sitting right, something keeps me up at night… the background noise”. It’s a definitive IAMX tune, describing the thorny nature of Corner’s troubled mind. The theme continues with piano based ‘Insomnia’, a cry for healing to “save me from myself”. ‘Look Outside’ with its touching strings, ethereal melody and gentle drums cushions the blows of life. Corner raises the glass to his new Los Angeles home, which has embraced his madness to bathe him in the tranquility he’s been searching for. ‘Oh Cruel Darkness Embrace Me’ shifts the mood into a synth laden utopia, covering the subject of hypocrisy in the middle classes in the “f***ed up world”, while ‘Aphrodisiac’ bursts out with a high pitched vocal over uneasy electronica; it’s classic, arty IAMX. 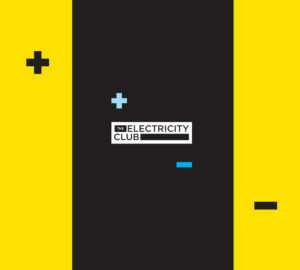 This heavy dance track requires serious head bopping and floor stomping, before it sharply cuts off into ‘Surrender’. This distinctive, lethargic and leisurely track, like a waltz, winds itself around the ballroom dance floor, lit with a million glass lights, sharply shining their luminous glow and calling to “surrender”. The production is culminated with the piano laced ‘Wildest Wind’, an extravaganza of everything that’s best in a well written electronic song. This pining, yearning desire, excellently labelled with intricate sounds, is at times reminiscent of DEPECHE MODE’s ‘Sibeling’. Since Corner is “seeing things very clearly now”, seeing “the music nourishes me”, his musical purpose is stamped all over ‘Metanoia’, the regained purpose, which he had lost for a while, and what a comeback it is. Turmoiled, lost, then reclaimed and strong, that’s what IAMX is, a different take of the X perhaps?